Skaz One from San Francisco, California is making major moves. From his recent feature on The Source it goes to show many doors are opening up for Skaz One. Even with his punk rock backround along with hip-hop it shows his sound is very diverse and one in a million. 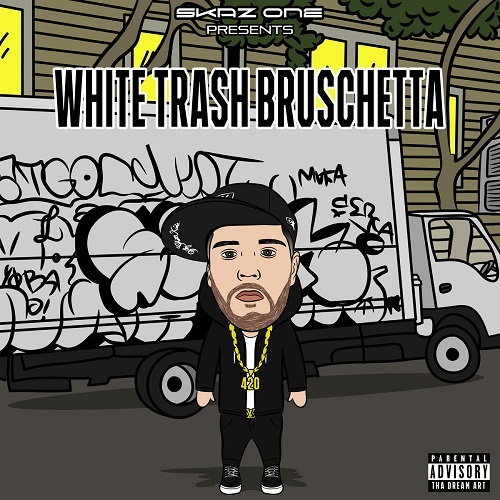 Skaz One just released his highly anticipated EP "White Trash Bruschetta" that includes the fan favorites such as "Real Talk" and "Can't Smoke with Me". The EP is now available on Itunes and all digital platforms as well.